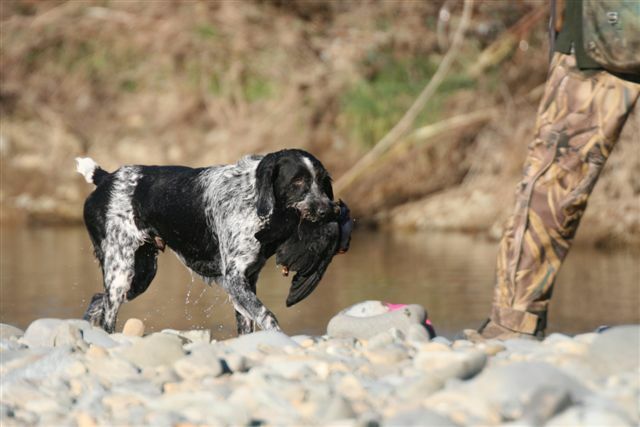 He is hunted regularly in the Duck & Quail hunting season in NZ. 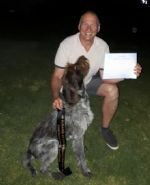 We also bred Dual Champion Kobnko Krusada's Key (Tedbear) who lives in Tasmania now, but was trained and titled by The late John Pattison in Queensland.Tedbear is a Retrieving Trial champion and Conformation Champion and is a brother to Max. 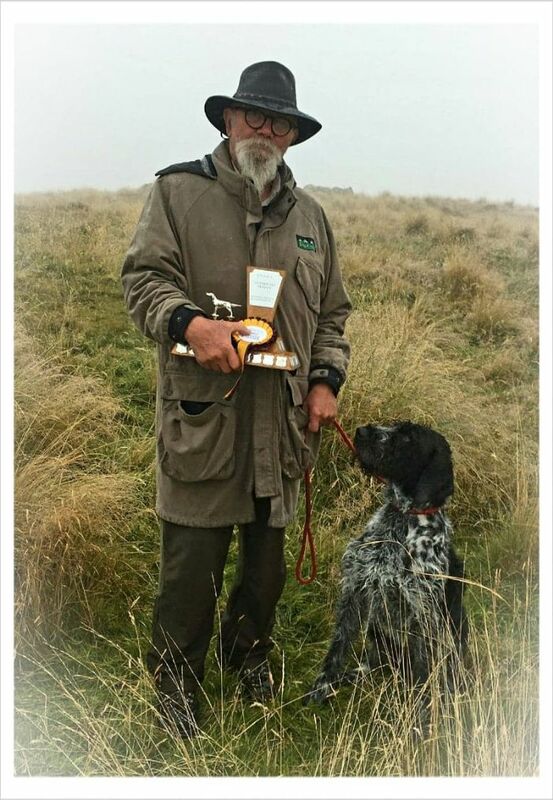 Tedbear at his peak won fastest Gundog at Widebay and is the only dog in the breed to qualify for the state Nationals and be placed in the final 10 dogs. Sadly Teadbear is gone taken by a snake. Tedbear and John Pattison pictured on the right. Sadly John passed away in January 2010. Our 3rd titled working dog is Kobnko B Coz U Can (RRD) This young female is the only female in the breed to achieve this title and at a young age under 2 years at the time.Meg is the daughter of Ch Kobnko Dot Kom a Sister to Max and Tedbear and Sired by Am/Aust Ch Weidenhugel Kyoko V Victor,Master Hunter and Purfung Prize one. Meg gained her RRD in her first trialling season against older and much more experienced dogs with 3 wins and a 2nd place in her 4 Restricted Stake starts. 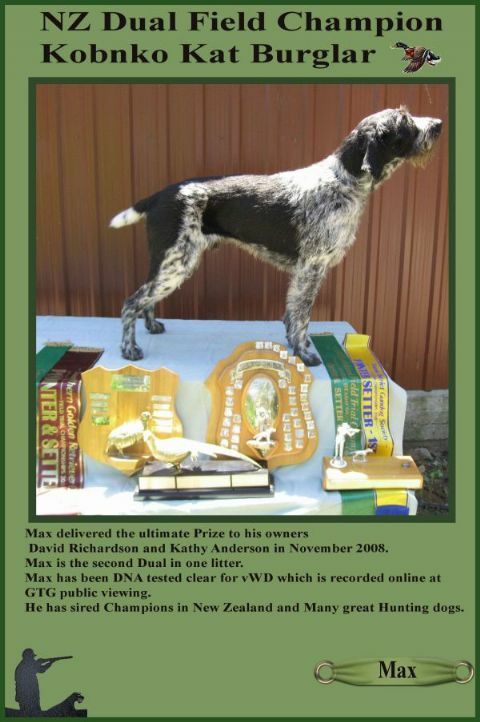 She also won the ACT Gundog Society RT of the year for 2008 and the NSW Gundog Society Autumn Shield as the highest point scoring dog in All Stakes competing. 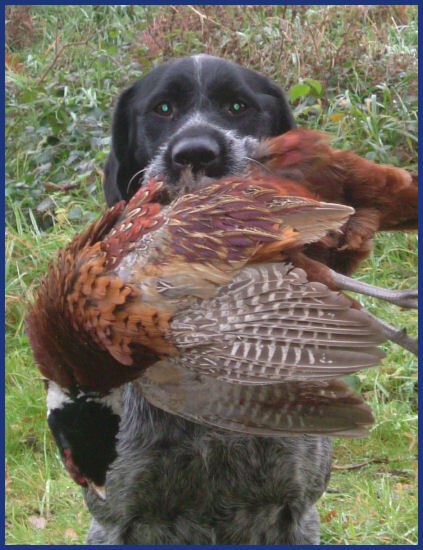 In 2008 she was the only GWP being campaigned in East Coast retrieving trials in a strong field of Labradors and GSPs. 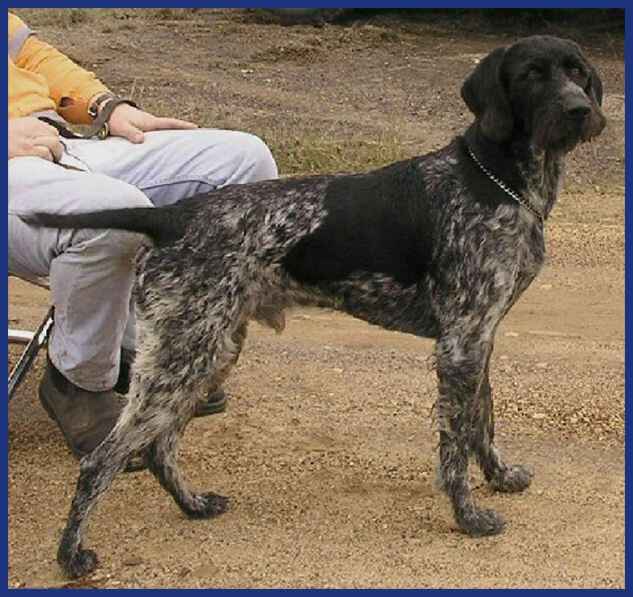 She is the youngest wirehair to win a RT Stake and to gain her NRD and RRD titles respectively. Owned Gary Creighton & Heidi Venamore and currently Meg is residing in the Europe with her owners. Meg was awarded an A Pass i.e. she could have been awarded a placing in a trial (1st - 3rd depending on the performance of other competing dogs). Note: It is not uncommon at trials here for the top dog to only be awarded a 2nd or 3rd placing rather than a 1st depending on how the judges subjectively rated the dogs performance. Ruby was awarded a Certificate of Merit grading with recognition given of her obvious potential to obtain high placings. We think that is a wonderful result considering they have only been training in the discipline for 3 months. 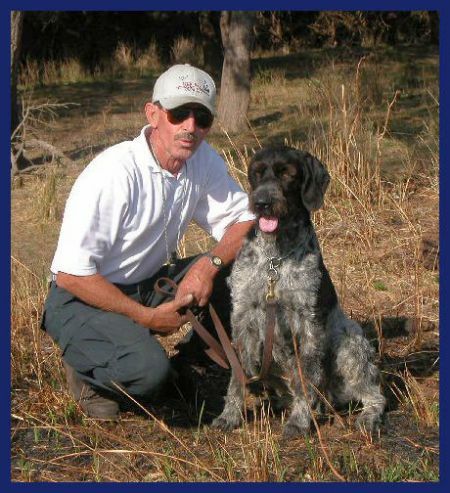 Kobnko Kennels is the only Kennel in Australia to have working titled dogs i both field and RT and the only kennel to have bred both field and RT titles. 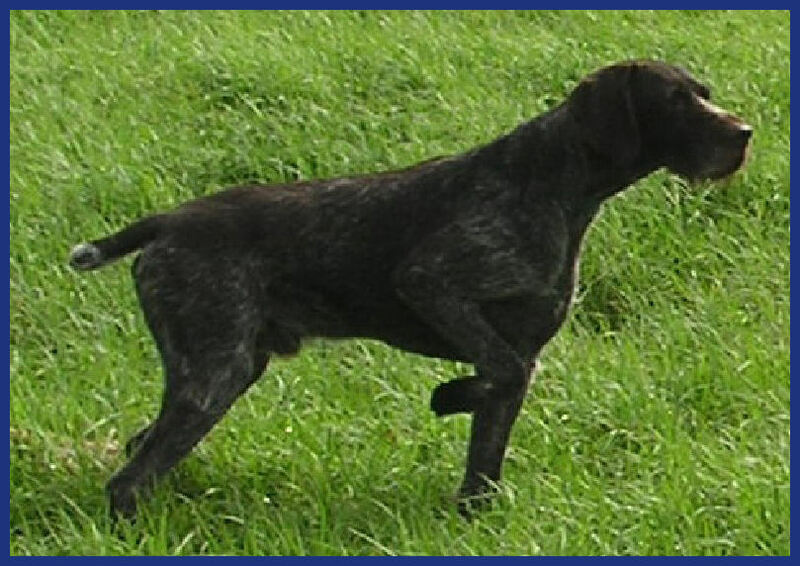 Ky has been a huge asset to our kennels producing some top working dogs here and in New Zealand, he also produced a top European show Winner who had a tremendous show record winning groups and at breed shows winning over 50 GWPs from around Europe. Direct from German is the latest sire for Kobnko. 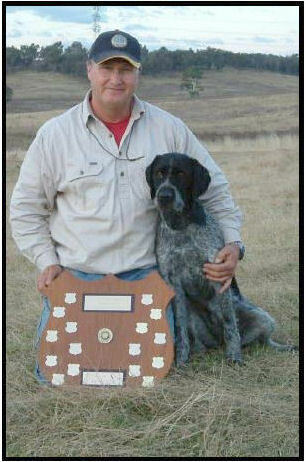 This dog is fully VDD certified tested and the only one to enter Australia that is fully qualified.